Visit my Facebook page HERE for all of the latest news! The Nightcrawlers are a quintet of Vancouver musicians dedicated to preserving the sound and vibe of the great 1960s Hammond B3 organ bands. 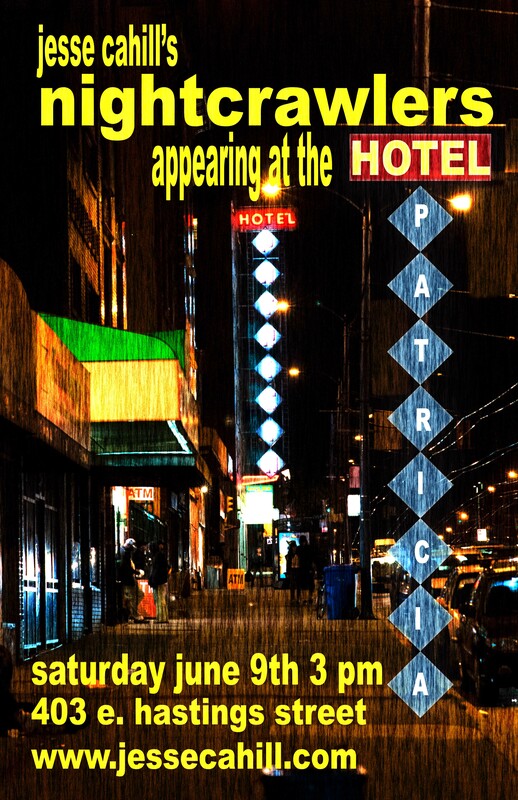 Inspired by the music of Brother Jack McDuff, “The Mighty Burner” Charles Earland, Big John Patton, and Booker T and the MG’s, the Nightcrawlers play gritty, soulful, down home music that’s all about having a good time. 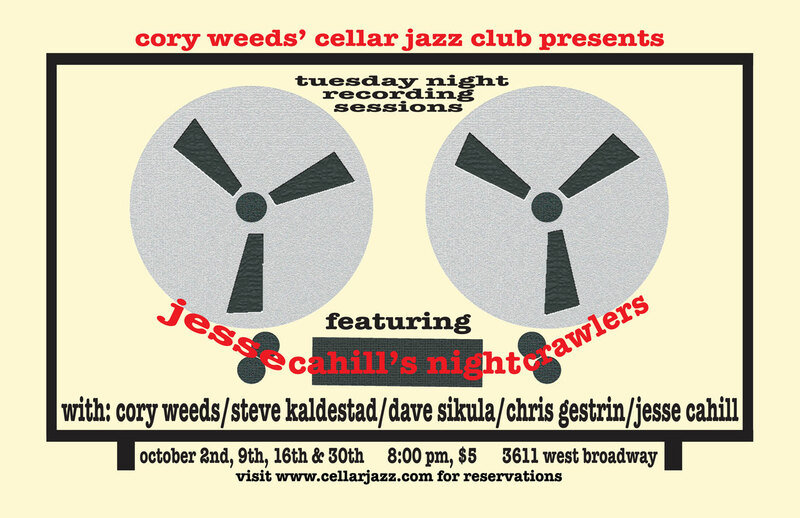 Led by critically acclaimed drummer Jesse Cahill the band features a who’s who of the Vancouver Jazz scene with Cory Weeds on alto sax, Steve Kaldestad on tenor sax, Dave Sikula on guitar and Chris Gestrin behind the Hammond organ. With a combination of grit and soul, plus successful collaborations with music legends such as Red Holloway, David “Fathead” Newman and Jim Byrnes, the Nightcrawlers have been making fans all across the country. The spectacular sound of the Hammond organ, a powerful horn section, and the irrepressible drumming of band leader Jesse Cahill never fails to whip audiences into a frenzy. The band’s first CD, Presenting, was nominated for Album of the Year at the National Jazz Awards in 2009 and received 3.5 stars in Downbeat Magazine. 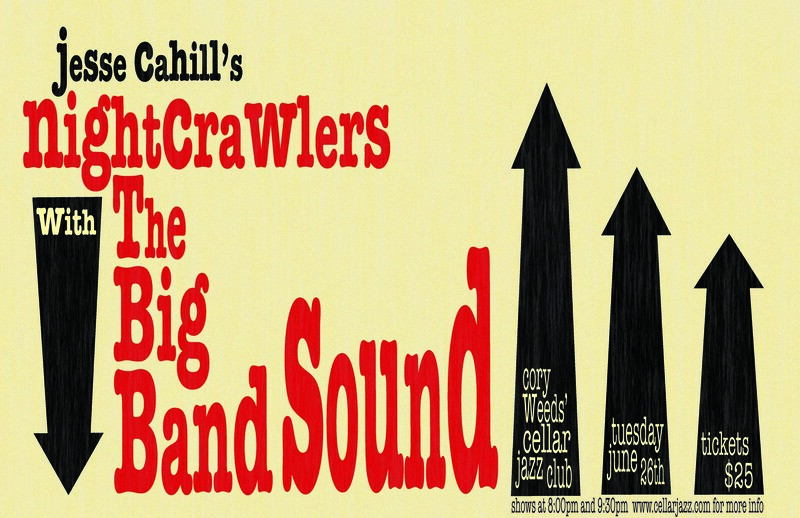 Their latest recording, Night Crawlers With Big Band Sound – Down In The Bottom, was released on CD and LP in January 2011 and recently won a Western Canadian Music Award for Best Jazz Recording of the Year. Down in the Bottom has enjoyed much critical acclaim and reached #11 on the JazzWeek Charts in the U.S. 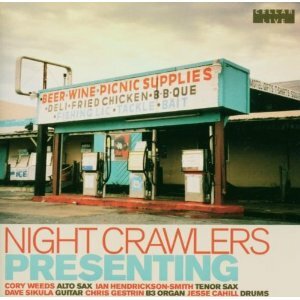 The Nightcrawlers current release Vol.3 features more original arrangements and compositions from the group and according to Georgia Straight columnist Alexander Varty, delivers “Funky Authenticity”. Vol. 3 reached #1 on the Earshot Jazz Charts in Canada and #21 on the US Jazz Week charts. Please visit our INDIEGOGO CAMPAIGN HEADQUARTERS to learn about how you can help us with our latest recording project! 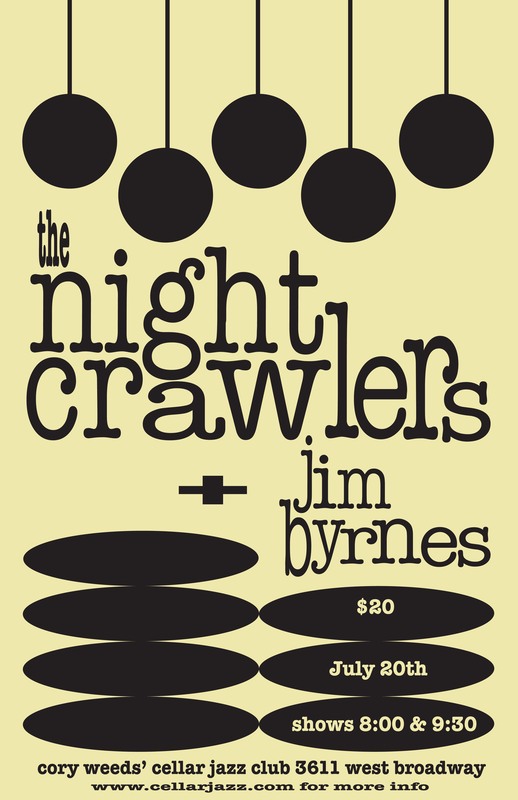 The Night Crawlers are a quintet of Vancouver musicians dedicated to preserving the sound and vibe of the great 1960s Hammond B3 organ bands. Inspired by the music of Brother Jack McDuff, “The Mighty Burner” Charles Earland, Big John Patton, and Booker T and the MG’s, the Night Crawlers play gritty, soulful, down home music that’s all about having a good time. Lead by critically acclaimed drummer Jesse Cahill the band features a who’s who of the Vancouver Jazz scene with Cory Weeds on alto sax, Steve Kaldestad on tenor sax, Dave Sikula on guitar and Chris Gestrin behind the Hammond organ. The band’s first CD, Presenting, was nominated for Album of the Year at the National Jazz Awards in 2009 and received 3.5 stars in Downbeat Magazine. Their latest recording, Night Crawlers With Big Band Sound – Down In The Bottom, was released on CD and LP in January 2011 and was recently nominated for a Western Canadian Music Award. 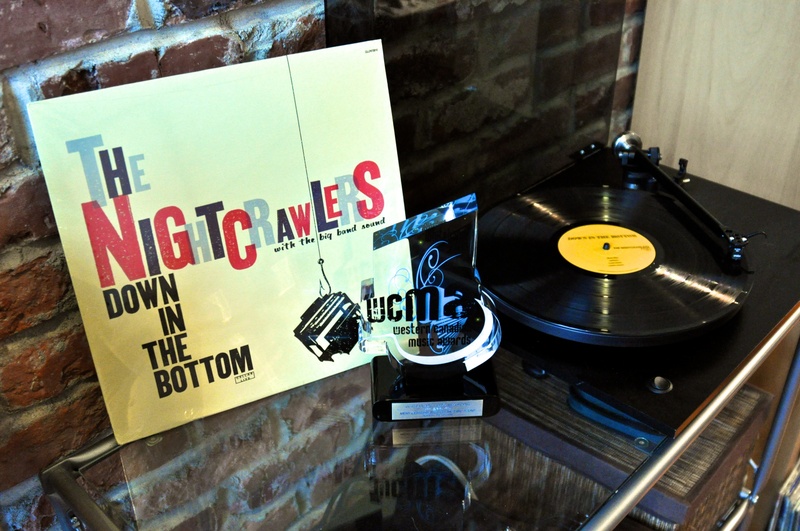 Down in the Bottom has enjoyed much critical acclaim and reached #11 on the JazzWeek Charts in the U.S.
With a combination of grit and soul, plus successful collaborations with music legends such as Red Holloway, David “Fathead” Newman and Jim Byrnes, the Night Crawlers have been making fans all across the country. The spectacular sound of the Hammond organ, the power of a nine piece horn section, and the irrepressible drumming of band leader Jesse Cahill never fails to whip audiences into a frenzy.